We are here to render information you would like to know. We provide basic information of accommodation status in the Kingdom of Myanmar. Silk Road Group will provide quality services of hotel reservation in Myanmar and will make the trip valuable and enjoyable. Just let us know what you are looking for Silk Road Group will suggest the most suitable one for you. 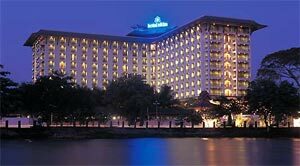 With our sizable countrywide net work of hotels, airlines and car pools, we can firmly assure to deliver our safe and sound good quality of services. Since Myanmar tourism industry is priming and gearing toward neighboring countries' level of activities, we can also assure a very reasonable cost of traveling. Myanmar Hotels Discount is your premier resource to Myanmar hotels. Find discount Myanmar hotels in Yangon, Bagan, Shan State, Mandalay, Ngapali Beach, Inlay Lake and Mon State. We can offer some discount Myanmar hotels off public room rates! Safe and secure online reservations can provide up to the minute availability of Myanmar hotels. We also offer reservations for package tours and flights. If you use the Hotels service, we can provide the one way transfer from Airport to Hotel free of charges. 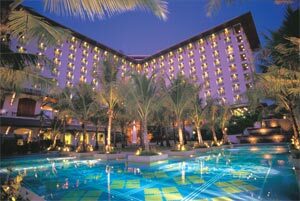 See our list of Myanmar Hotels. If you want to reserve a hotel in Myanmar please select a hotel. Within your own set of traveling arrangement in Myanmar, if there be occurred that you need to book a hotel or chain of hotels at particular towns you can contact us for our services. Upon receiving your enquiry we will provide you with a list of hotels, each with comprehensive description and the prices. Hotel enquiries can be made by sending Contact us form. Please fill in your requirements as "Additional Message". We need to know the town you are planning to visit and if possible date of arrival there and date of departure to verify availability of rooms. This will enable you to choose the accommodation of your interest according to your budget. We are confident that this site will satisfy you and it's purpose. If you have any queries please do not hesitate to Contact Us.